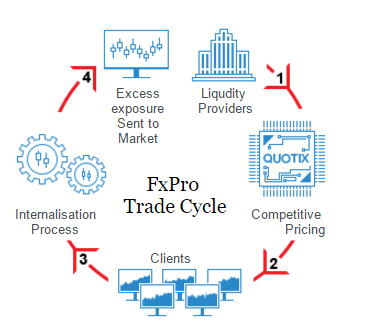 In our view FxPro is definitely in the top tier of global Forex brokers and perfect for the cTrader trading platform with over 10+ years of experience, they offer a wide range of services to help new traders succeed in this difficult industry and they already have over 1/2 million trading accounts opened. A team of veteran financial experts founded FxPro in 2006 and now the broker is serving clients in over 120 countries including Austria, France, Cyprus, Greece, Russia and the United Kingdom. The company is a member of the ICF, regulated by CySEC, and their accounts are audited by the international auditing firm Price Waterhouse & Cooper. Client responsibility is key for FxPro. FxPro’s landing page is stocked with useful information that is easy to navigate. The site moves along rapidly and opening a real or a demo account easy. Confirming any account is a multi-step process, but fairly quick. They offer a fairly extensive video library with insightful videos about basic trading strategies and tips. We have chosen to be Introducing Brokers for FxPro as they are registered in the UK which makes them perfect for traders in the United Kingdom as well as international. 40+ UK & international awards including Best Fx Execution 2017, Best Global Execution Broker 2017, Best Global Forex Broker 2017 and Best Global Forex Provider. cTrader clients are charged a commission fee of 45USD for every 1 million USD traded upon opening a position, and 45USD upon closing the position. The above applies to trading forex and spot metals. Spreads on cTrader start from 0 pips. Support at FxPro is available 24/5. To ensure that traders get the highest level of attention from the support team, multilingual support is also available for international customers in 18 languages. To access the support services, traders can contact customer support through email, live chat or the telephone. There’s a call back option for phone support and a live chat option. Emails are answered in as little as 20 minutes. Clients of FxPro Financial Services Limited can fund their accounts via one of the following payment methods and they only accept deposits in the following currencies: USD, GBP, CHF, EUR, PLN, AUD, JPY and ZAR. Clients of FxPro UK Limited may fund their accounts via Bank transfer and Credit/Debit Card. The recommended minimum initial deposit is 1,000USD for cTrader accounts. You may, however, deposit as little as 100USD each time. You can withdraw funds by logging in to your FxPro Direct, where you should make a withdrawal request. You can withdraw money onto your debit, credit, direct bank transfer and other methods. All withdrawal requests are processed by our Client Accounting Department within 1 working day. Bank transfers are ordinarily processed by us within 1 working day, it takes 3-5 days approx. for the funds to be credited to your account. However, please note that it might take up to 10 working days for your funds to process back through the banks to your card. FxPro continues to get very good reviews by satisfied customer from various websites. This is where FxPro stands out in the crowd, the education material they provide for their traders is outstanding, they provide a wide variety of online trading tools, market data and technical analysis for registered customers as well as a trading academy to help educate traders to become more successful. FxPro Trading Academy has been designed to prepare a complete beginner for the challenges of trading on the world’s currency markets. By the end of this course, you should know how Forex works, where you stand in the currency trading food chain, and what steps you can take to increase your edge. All client funds are segregated from operating capital in Tier-1 accounts with major global banks. All client funds deposited with FxPro are fully segregated from the company’s own funds and are kept in separate bank accounts. 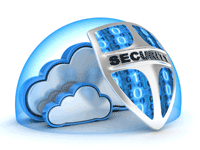 This ensures that funds belonging to clients cannot be used for any other purpose. Our interim and annual financial reports are audited in Cyprus by PWC, a leading global financial auditor, ensuring that our operations are conducted to the highest possible standards. FxPro offers Negative Balance Protection guarantee to all clients as part of the Client Agreement, as long as it is not manipulated and is accepted in good faith. We are committed to a strict policy ensuring that clients may never lose more than their total deposits. You can download one of the platforms today by clicking on one of the options below. 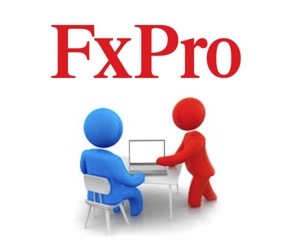 It is very easy to register for a free FxPro demo account. To do so, click on the blue ‘Open Demo Account’ button, or click here. With a demo account, you can learn how to trade manually or with automated robots without the worry of losing real money, this allows you to see if you are really cut-out for retail trading before you part with any of your money. It only takes a few minutes to open a demo account with just some basic information, no bank or card details are required. Start trading today with real money, signing up is simple and straightforward.